How much will you spend online this Xmas? 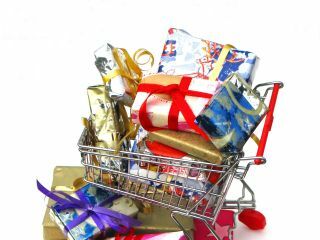 Microsoft believes that Monday November 26 will be the biggest shopping day for online stores. That's because it's the first working day after Thanksgiving in the US. The software giant believes that two in every five online shoppers are likely to shop online on that day. And, to mark the occasion, MS is dubbling it 'Cyber Monday'. Mind you, it hardly takes a genius to conclude that the next few weeks will be a hell of a busy time for online sellers. A recent study by Forrester Research reckoned that 58 per cent of all customers in Europe will buy their Christmas presents over the Internet this year, spending around 51 billion Euros (£36.5 billion) in the process. Last year saw Brits spend around £7.7 billion on online Christmas shopping. "Online sales appear set to continue growing at a much faster rate than total retail sales and could be the difference between an OK Christmas and a great Christmas for some retailers." says Bob Ivins, comScore EVP of International Markets. Ivis believes that online shopping is a saviour for people with busy lives. "The popularity of online shopping is set to reach an all time high this year, as time squeezed consumers - armed with high speed [broadband] access and experience with the online channel - can be expected to spend more time shopping and buying Christmas gifts online." Microsoft is also urging vigilance, for it believes email and phishing scams will be more prevalent during this time. Microsoft thinks one in four online shoppers has been tricked while shopping online. And as for the amount we spend, analyst comScore says that 20 per cent of online shoppers across the UK, France and Germany reckon they will spend more on Christmas shopping this year. 62 per cent will spend the same as they did last Christmas. Nearly half of UK online shoppers have already started their Christmas shopping, it says. The analyst also says there is surprisingly high support for online payment, with 20 per cent of British users expecting to use PayPal.